Caramel is one of the great secrets of a pastry chef. It requires only two ingredients (sugar and water) and one technique (burning the sugar). "Caramel" sounds so much more appetizing than "burnt sugar," although the French are very honest about "crème brûlée" which means "burnt cream." Because of the special molecular properties of sugar, once it reaches a certain temperature the structure begins to change. The sugar changes color as it is burning and it becomes solid when cooled, like candy. 1. Combine sugar and water. Place on the high heat. 2. Allow to boil for a few minutes. 3. You will notice that the bubble becomes more tightly packed. 4. Then the sugar will start changing color slightly. 5. 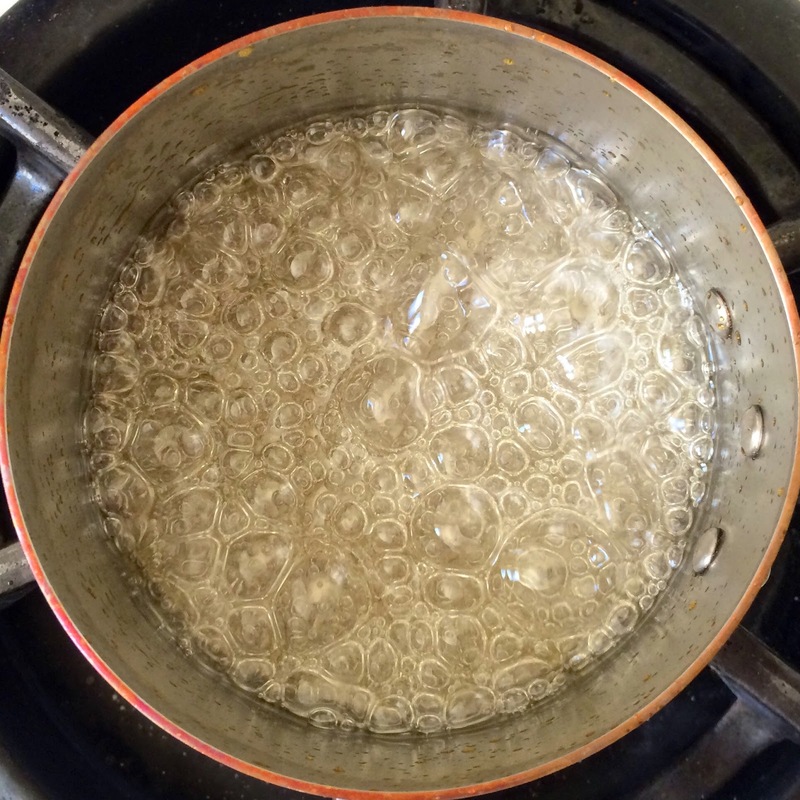 At around 300° Fahrenheit, the sugar turns to caramel. Notice the change in color. Swirl the pan gently. Do not stir the caramel. 6. 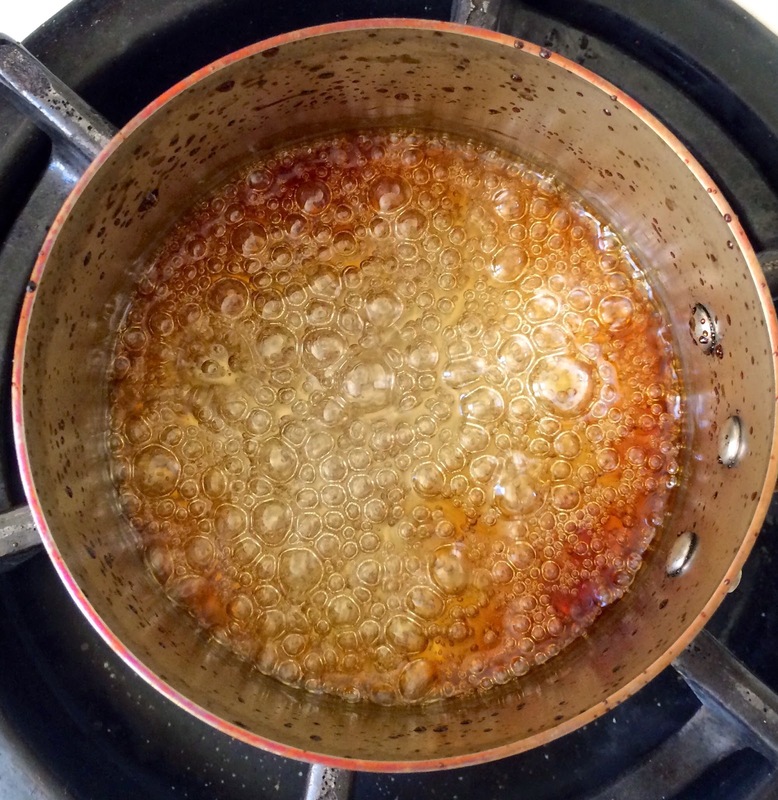 The longer the sugar is heated, the more caramelized (burnt) it will become. For a traditional Tarte "Tatin" or other "Tatin" recipe, you will want to stop cooking the caramel around 350°- 360° Fahrenheit before the caramel becomes too burnt, as it will continue to caramelize during baking. Swirl the pan to even out the caramel color. Do not stir! Ideal caramelization for a Tatin recipe. 7. 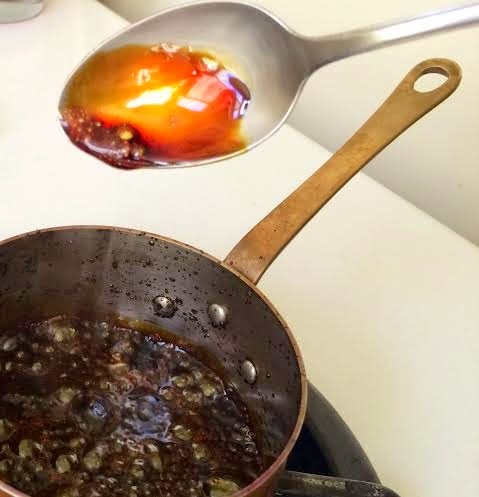 When making caramel sauce, you can caramelize the sugar longer until it turns a darker color. Then add butter or cream. Be careful when adding the butter/cream to avoid splashing the caramel (to avoid burning yourself). 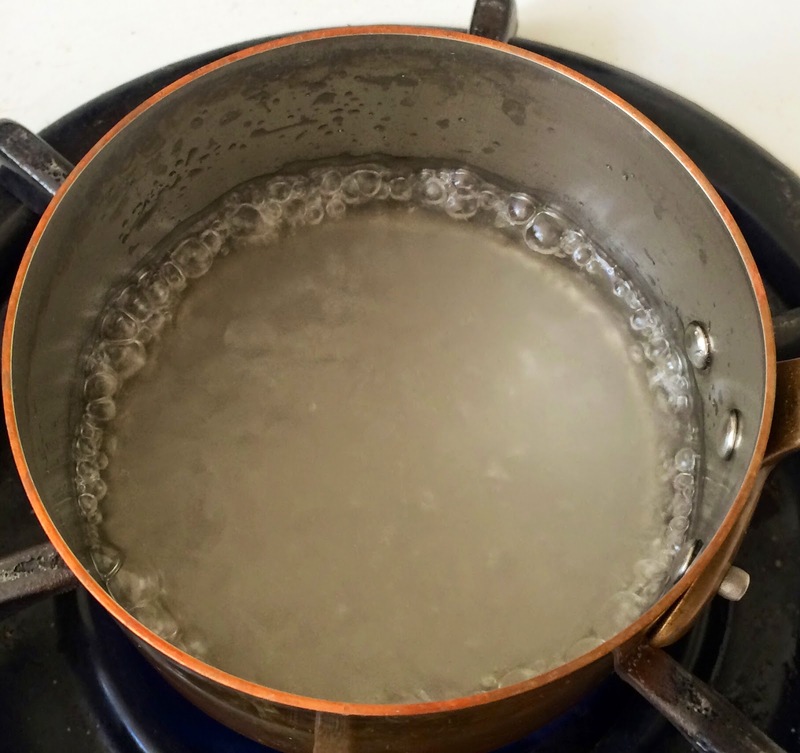 Swirl the pan to blend the butter or cream and sugar, then remove from heat. 8. 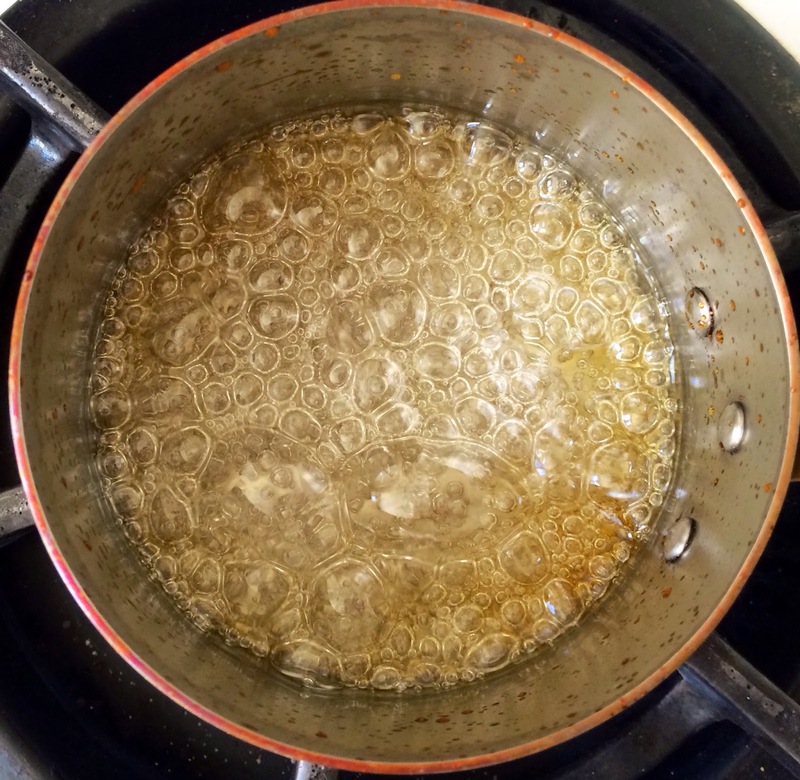 Swirl the pan to blend the caramel and then remove from the stovetop. 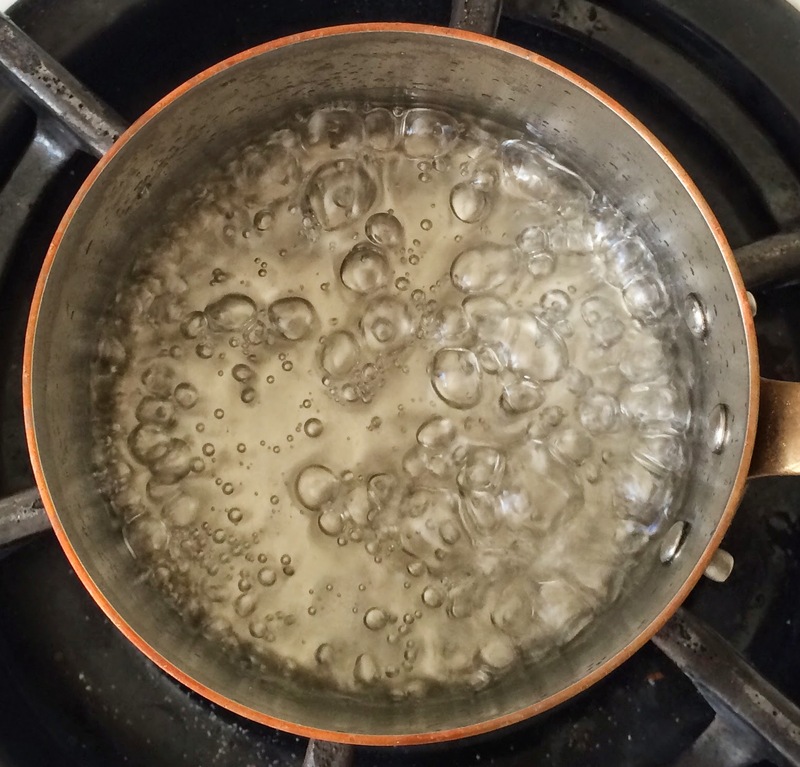 (Keep in mind that the sugar continues to cook for a few minutes after you've removed the pan from the heat.) The caramel's amber color should be evenly distributed. 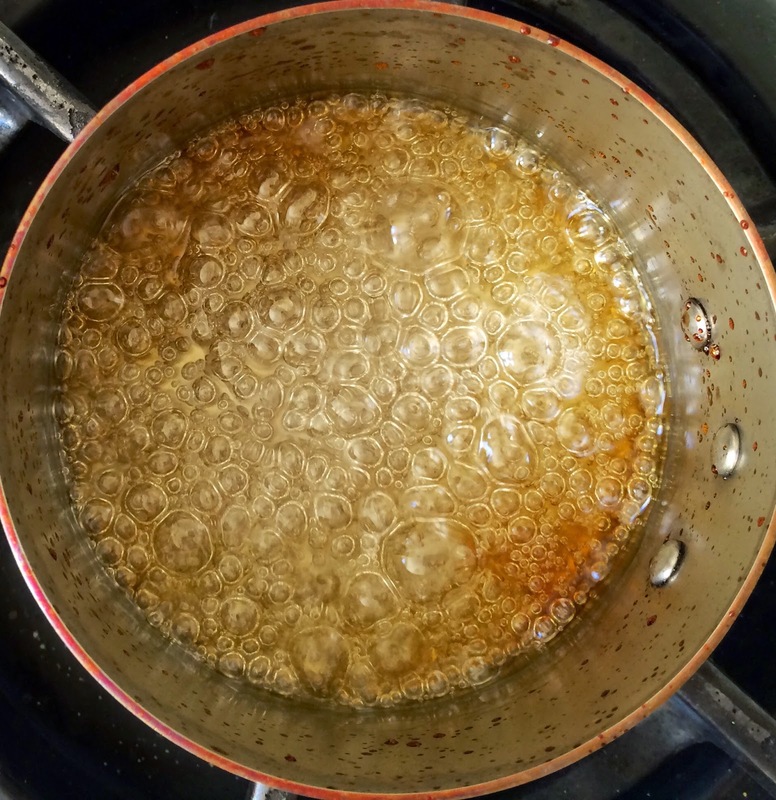 How the caramel should look after swirling the pan - evenly colored. 9. For recipes that call for adding butter or cream, add it while the caramel is still hot. Add butter or cream for specific recipes. 10. Then use a spoon to mix the butter or cream into the caramel. No stovetop heat is necessary. Voila! The final result is the perfectly creamy rich caramel, ready for filling chocolate candies or use in other recipes. The perfect color of caramel!